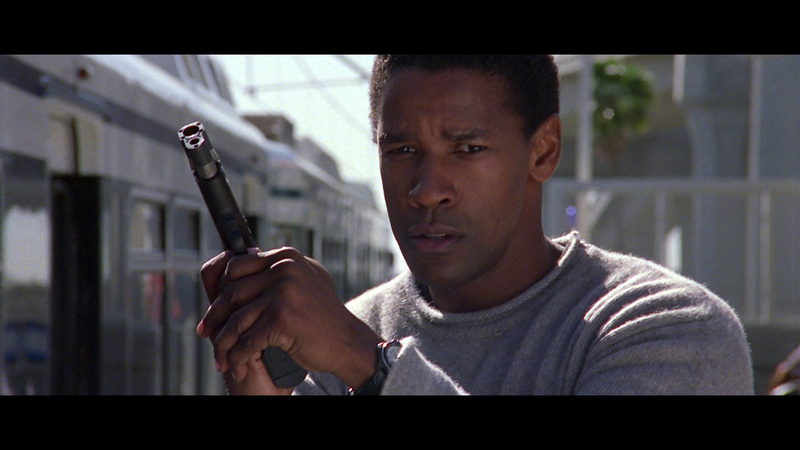 Brett Leonard's Virtuosity is a silly movie with a strong cast led by Denzel Washington and Russell Crowe. 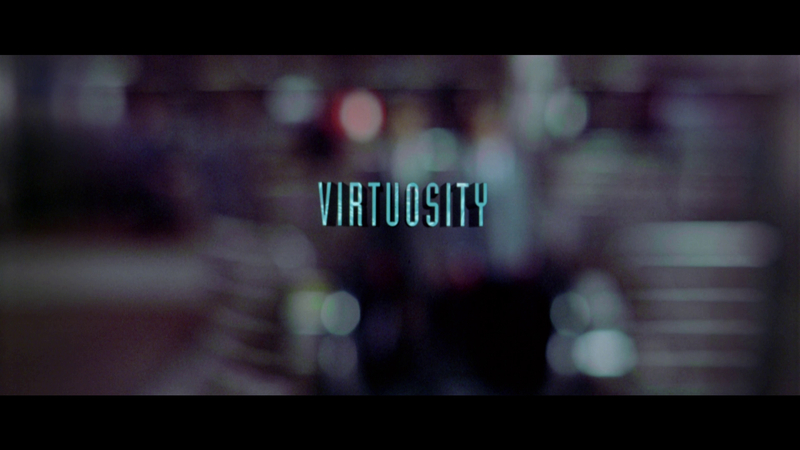 Released in 1995, just one week after similarly themed The Net, Virtuosity has not aged particularly well. 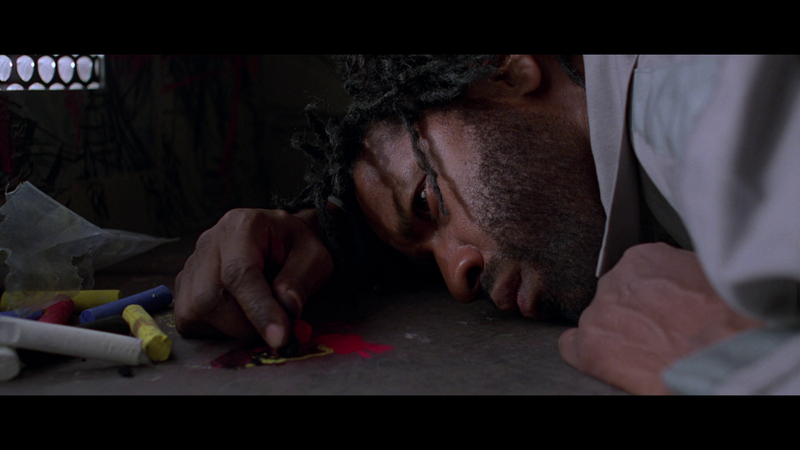 The effects are dated, the exposition excessive, and Crowe's over-the-top performance certainly does not foreshadow his future role as Gladiator. It is understandable that the director of The Lawnmower Man, also about virtual reality, would further explore the concept in an age where the Internet was novel and rapidly expanding, but Virtuosity is a time-waster, nothing more. 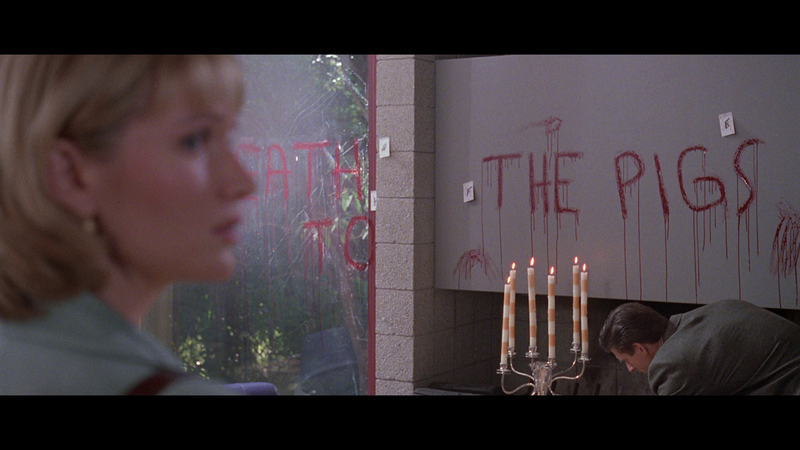 The film begins as L.A.P.D. 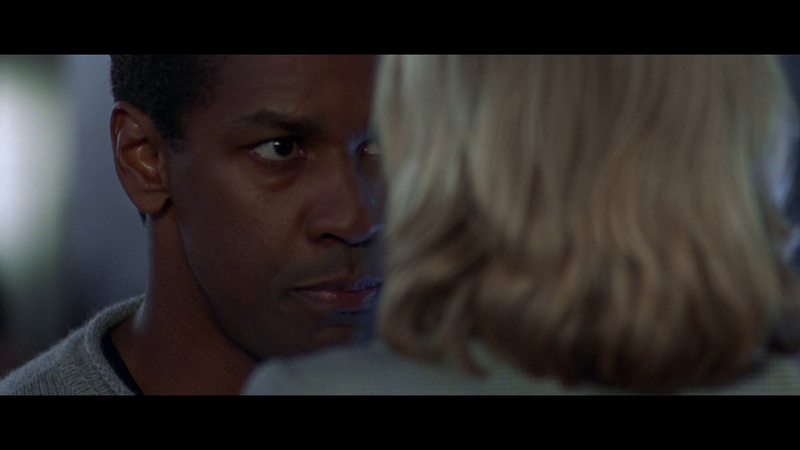 Lieutenant Parker Barnes (Washington) tracks a serial killer (Crowe) through an Asian restaurant. It is quickly revealed that this scene is taking place in virtual reality, and that Barnes is a former cop, now a prisoner, thanks to a mishap that left his wife and young daughter dead. The police department is testing a virtual-reality training environment until the fake killer, called SID 6.7, manages to kill a real officer despite the safeguards instituted by program creator Dr. Darrel Lindenmeyer (Stephen Spinella). Barnes has volunteered to help with the program's development in hopes of reducing his sentence, and is given an unexpected day pass from jail when SID 6.7, with Lindenmeyer's help, manages to escape his virtual confines into the real world. 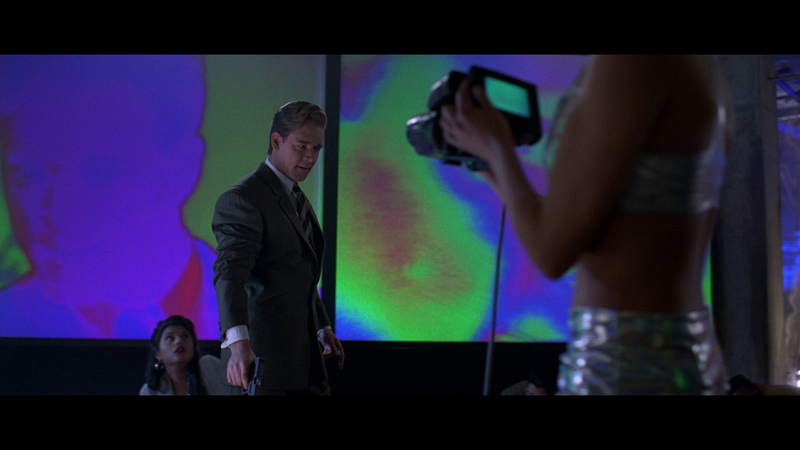 That brief synopsis of Virtuosity might give you a clue as to some of the film's storytelling problems. I do not mind implausible things in science fiction, and, if a virtual-reality serial killer is going to join the real world, just tell me that is the case. 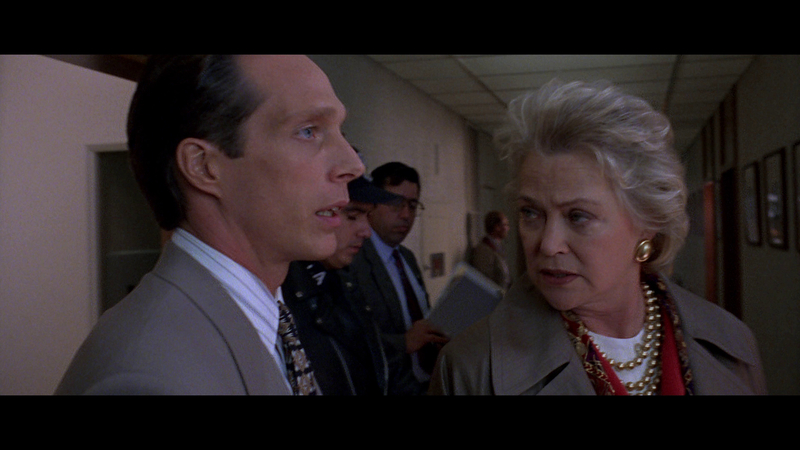 Virtuosity spends way too much time trying to convince its audience that SID 6.7's rebirth somehow makes sense. My ultimate question about that effort: Who cares? 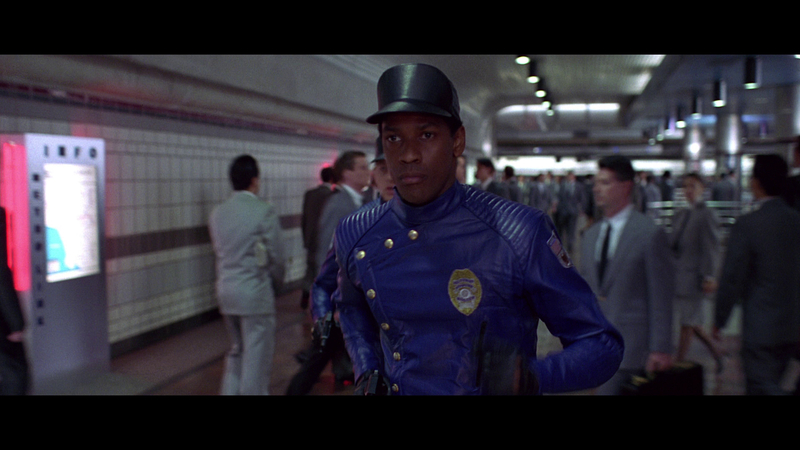 The rest of the film is a fairly standard cop thriller, with some now-dated, futuristic flourishes. 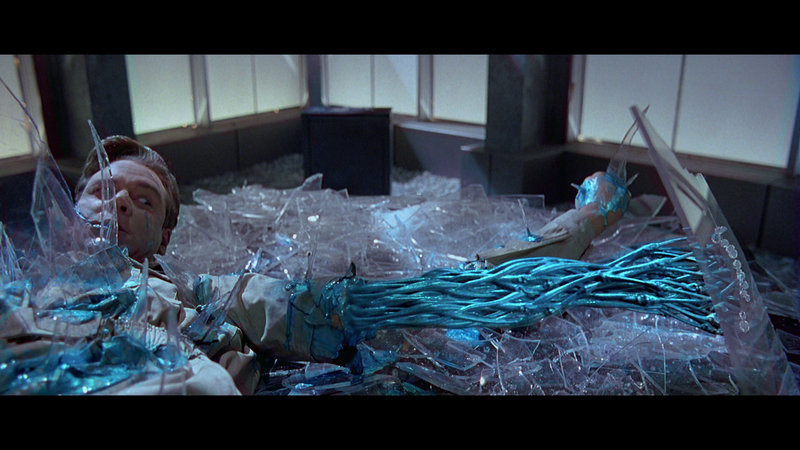 Remember how well that kind of "visionary filmmaking" worked for Joel Schumacher two years later in Batman & Robin? The nineties, man. Aussie import Crowe goes in an interesting direction with SID 6.7: totally, over-the-top crazy. The program was created as an amalgam of hundreds of different real-life killers, including Adolf Hitler and Saddam Hussein. Apparently, all that smashed together results in a tap-dancing jackal. Seriously, Crowe is awful...ly entertaining in this movie. Washington sleepwalks through his performance. There is a recurring storyline about Barnes' dead wife and kid and the killer that caused that incident, but it does not resonate. The lovely Kelly Lynch pops up as a criminal psychologist studying SID 6.7. Virtuosity is not totally without merit, but it is superficial nonsense. 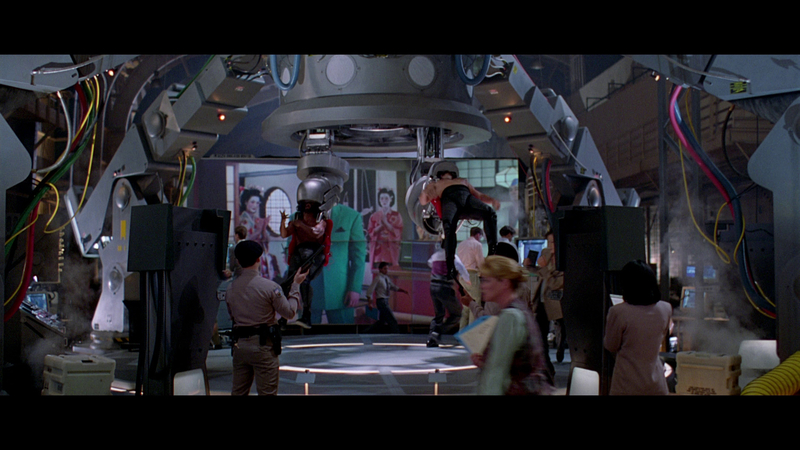 It represents an idea of what the future might hold, and is now laughably out of touch with reality. 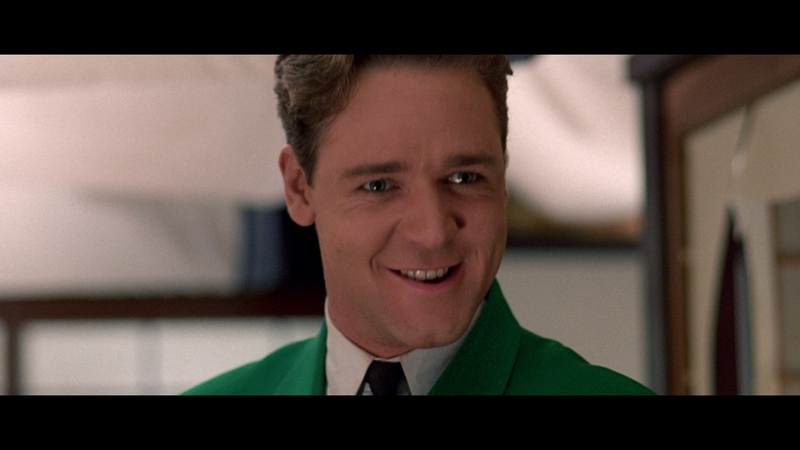 The 2.40:1/1080p/AVC-encoded image is reasonably attractive, with crisp detail and nicely saturated colors. The grain pattern is film-like, and the print is clean. There is some slight softness at times, but digital scrubbing is minimal. Black levels are good. Warner Brothers releases this Paramount film as part of its Blu-ray licensing agreement, and I can't help but think that the Paramount masters are often a lot more attractive than Warner's own offerings. The 5.1 DTS-HD Master Audio mix is quite immersive and theatrical-sounding. The opening sequence plunges viewers into the simulation with plentiful action effects, like gunshots and crowd chaos, traversing the surrounds. The LFE supports SID 6.7's more nefarious efforts, and all the effects are balanced appropriately with dialogue and score. There is a Spanish 2.0 Dolby Digital dub included, and you also have access to English SDH, French and Spanish subtitles. 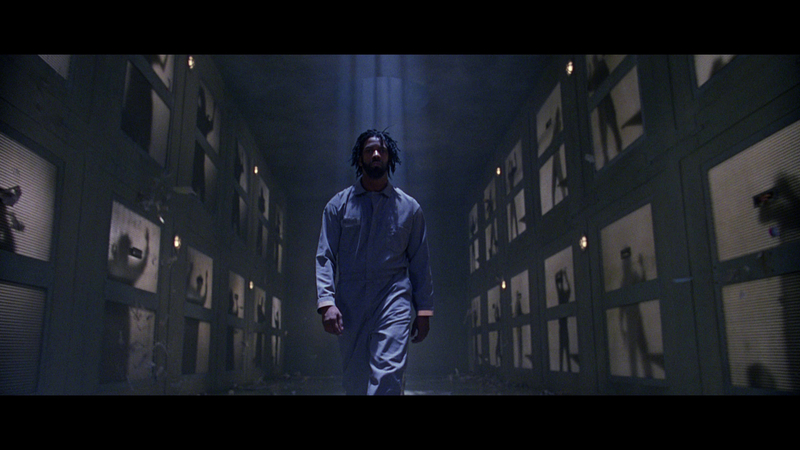 Virtuosity got lost amid the tech-heavy thrillers of the mid-nineties, and it has not aged well. An overacting Russell Crowe overshadows a bored Denzel Washington in this thriller about a virtual-reality killer that escapes into the real world. The Blu-ray looks and sounds nice, but no extras are included. Rent It.